The primordial stories found in Genesis 1-9 is an area of contention among Christians as it has long been debated as to whether or its content are to be looked at as actual historical account of events that explains our questions of origins to the point that churches have split over whether one group accepts Genesis as literally factual or mythologically true. I believe that all monotheistic religions like Judaism, Christianity and Islam set some store of factual veracity in the tales contained in their holy books. However, it must be noted that it is pointless to dispute the scientific compatibility of the creation account, since the literary genre of almost all of these narratives is myth. Myths are not non-scientific tales conjured up by primitive minds, but are instead a legitimate and significant literary vehicle for unfolding the meaning of human existence, the universe as well as the deities. Mythology is not a history book as much as a way to explain an often incomprehensible world. Therefore, it cannot be judged verifiably true or false; rather it represents a people’s fundamental understanding of themselves, to which there exists a unique correlation between the claims of myths and history whereas myths provide us with an interpretation of history that would answer the question of ‘why’ in regards to our existence and present state of being. Thru the language of mythology we can look at Genesis as the story of ourselves as we journey from innocence to experience. The narrative of the Fall can be traced to humanity’s audacious claim and exercise of autonomy over and against the sovereign God of creation. This can be done without actually adhering to the traditional concept of Adam and Eve as literal persons since the original language of Genesis describes humanity as having material reality: ‘the LORD God formed man [ʼĀḏām] from the dust of the ground [adamah] –‘earthlings’ from the ‘earth,’ so to speak (Gn. 2:7) Our nature is firmly ‘earthed’ or ‘grounded; in the world of nature, yet we owe our organic life (Gn. 2:7b) as ‘living beings’ to God’s active giving of life (Gn. 2:7b). We can bridge ourselves to the story of the Fall by situating ourselves as people who inhabit this planet to which the characters of Adam and Eve are our representatives in this state of broken equilibrium because they are people like us. While the serpent functions as the principle of probation or the embodiment of what we desire most. The story of Adam and Eve represents the choice which confronts all human beings and the disobedience to God into which all of us fall. 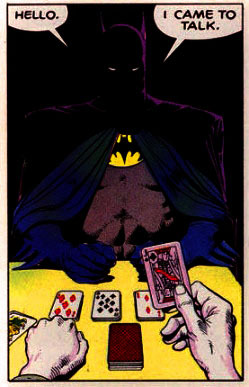 In the mid-1980s long-time Batman, writer, Dennis O’Neil took over as editor of the Batman titles and set the template for the portrayal of Batman following DC’s status quo-altering miniseries Crisis on Infinite Earths. O’Neil operated under the assumption that he was hired to revamp the character and as a result tried to introduce a different tone in the books than had gone before. 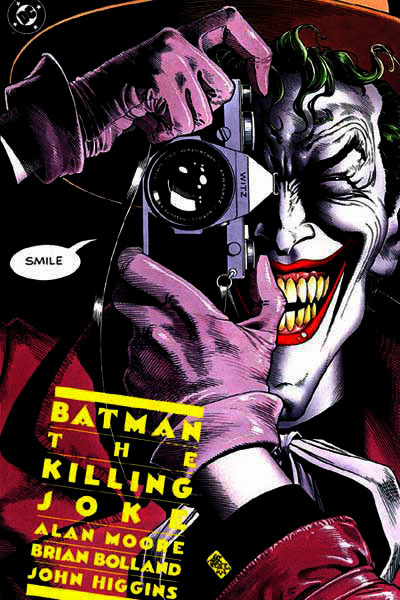 Among the stories that were produced that period was Alan Moore and artist Brian Bolland’s 1988’s Batman: The Killing Joke, which is widely considered to be the be-all-end-all of Joker stories, as it stirred a bit of controversy because the story involves the Joker brutally, pointlessly shooting Commissioner Gordon’s daughter in the spine in an attempt to drive Commissioner Gordon insane, to prove that any man can be pushed past his breaking point and go mad. A former clerical staff a at a chemical processing plant resigns from his job to become a stand-up comedian, with has a pregnant wife, a backlog of bills, and not to mention the fact that the whole career move that he made is seen perceived as a stupid move by everyone around him. A bad day can make or break a man is a unique insight that The Killing Joke, can contribute in enriching our understanding The Fall, that doesn’t recognize narrative as an actual historical event but rather to comprehend it in existential terms since we are beings of history and experience –our lives testify to that single point in time (or better yet single day) when we cross the line from innocence to experience or that point in time when we likewise make an audacious claim of autonomy over and against structures of boundaries and morality that govern us to which we come out of the ordeal forever changed. For Batman, this ‘one really bad day’ came in the death of his parents at the hands of a mugger which he witnessed during his youth, a traumatic event that forever transformed the young Bruce Wayne into the vigilante Batman who administers justice to the superstitious, cowardly lot of the Gotham underworld. 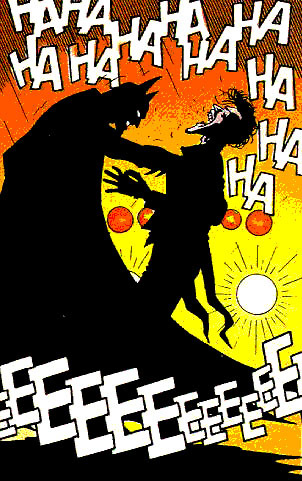 Interestingly The Killing Joke ends with Batman and Joker sharing a laugh right before a desperate and cornered Joker wilfully surrenders himself to Batman’s custody. 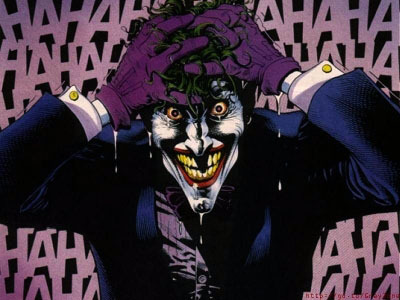 The laughter can be looked at as a realistic response to their perpetual predicament of living in the tension of their lives after their ‘one really bad day’ as well affirmation of the shared humanity between Batman and Joker; a humanity that we likewise share with one another in community with our fellow men. Evangelicals have the tendency to think of theology along soteriological lines. Single life transforming events like those explored by The Killing Joke can have parallels to our understanding of the concept of conversion, which we Evangelicals hold at such a high esteem because we tend to use those events as a litmus test to any Christian’s profession of their faith in Christ. Perhaps the story of The Killing Joke can function as a resource in enriching our understanding of these ‘single really bad days’ as external catalysts that orchestrates an individual’s conversion for or against something. I believe that it is quite possible that such stories would inform us of how we can draw on such days so as to enrich one’s understanding of their own conversion to Christ, which would help in deepening their empathy with others who are yet to respond to the Gospel message or to their own self-awareness of how they were come into contact with the divine. Lastly, it helps in a sense as a reminder for us to see ourselves simply as human beings, no longer as gods, that they are in a position to perceive the wholly other nature of God. It is only when we cease to be unhappy supermen and pathetic mini-gods and permit ourselves to become human beings through and through again that we let God be God. Graphic novels are narrative pieces of literature in which a story is conveyed to the reader using sequential art in either an experimental design or in a traditional comic book format. Scott McCloud ‘s, Understanding Comics: The Invisible Art by (New York, NY: Harper Paperbacks, 1990) is a good reference for a more detailed study of comic books. Dennis “Denny” O’Neil is an American comic book writer and editor, who is best-known for writing Green Lantern/Green Arrow and Batman with Neal Adams, The Shadow with Mike Kaluta and The Question with Denys Cowan, all of which were hailed for their sophisticated stories that expanded the artistic potential of the mainstream portion of the medium. As an editor, he is principally known for editing the various Batman titles. Crisis on Infinite Earths is a 12-issue comic book limited series and crossover event, that was written by Marv Wolfman and illustrated by George Perez for DC Comics in 1985 to simplify its then 50-year-old continuity. Alan Moore is a British writer who gained prominence through the cinematic depictions of his graphic novels namely which includes: V For Vendetta, The Watchmen, From Hell and The League of Extraordinary Gentlemen. Brian Bolland is a comic book illustrator that is best known in the UK as one of the definitive Judge Dredd artists for British comics anthology 2000 AD. Klock, Geoff. How to Read Superhero Comics and Why (New York, NY: Continuum, 2002) pp. 52-53. This entry was posted in Reflections, Theology and tagged Alan Moore, anthropology, Batman, Graphic Novels, The Fall, The Killing Joke by Chuck Baclagon. Bookmark the permalink.